Piecing small parcels together to create a large conservation area is a strategy that has worked especially well for the Mashpee National Wildlife Refuge, which covers land in Falmouth as well as in Mashpee. Established in 1995 as a partnership of government agencies and private organizations, the refuge now contains about 4,100 acres. One of the reasons the wildlife refuge was created was to protect land around Waquoit Bay where development was degrading the estuarine habitat. North of Waquoit Bay, the Quashnet River flows south from Mashpee into the Moonakis River, which empties into the bay. Thus, preserving land along the rivers protects the watershed of Waquoit Bay. Both the state and the town of Falmouth have acquired land on the Quashnet River in Waquoit, close to the Mashpee border and just west of Route 28. The state owns about 36 acres of upland and abandoned cranberry bog on both sides of the river. The most recent purchases were three lots at the entrance to the walking trail along the river, at Martin Road, and 8.3 acres farther up the river. The 300 Committee contributed to the latter purchase from Tim Gonsalves in 2006. The town earlier supported expansion of the wildlife refuge by buying 10.4 acres abutting the Gonsalves property in 2000, using Land Bank funds. 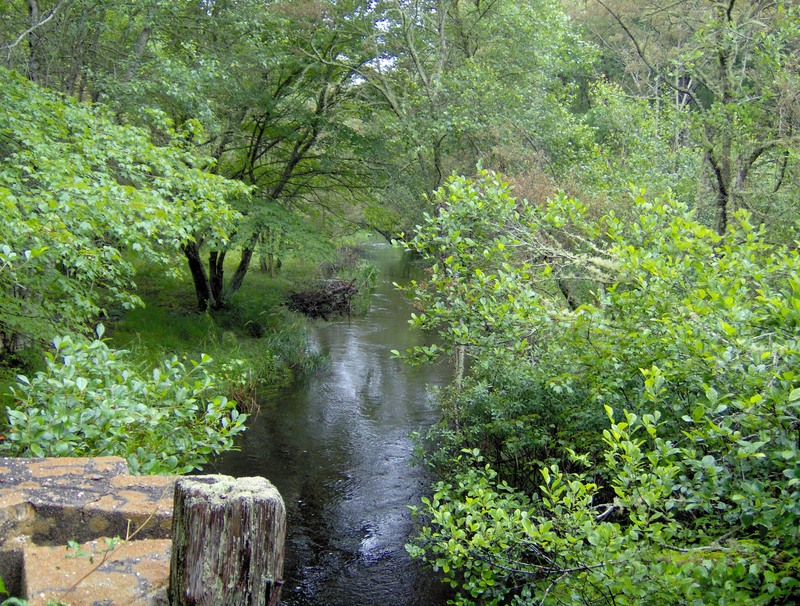 The Quashnet River Area is managed by two state agencies: the Department of Conservation and Recreation and the Division of Fisheries and Wildlife. The dirt access road off Martin Road was used to reach cranberry bogs that were in operation from the 1920s to 1950s, when they were abandoned after the hurricane of 1954. The year 1926 is etched in the remains of one of the sluice gates on the river. After the bogs closed, the state Division of Fisheries and Wildlife bought 32 acres. In 1987, the conservation land was expanded when a coalition spearheaded by Trout Unlimited and Citizens for the Protection of Waquoit Bay successfully petitioned the state to buy an additional 385 acres. Martin Road is off Route 28. A few parking spaces are available at the turn where Martin Road crosses the river. The old bog road follows the river for about 2 ½ miles. At several points, one can cross the river to the east side and return to Martin Road.